Giant Space Lizard – Evil of the SMO! – Giant Space Lizard! 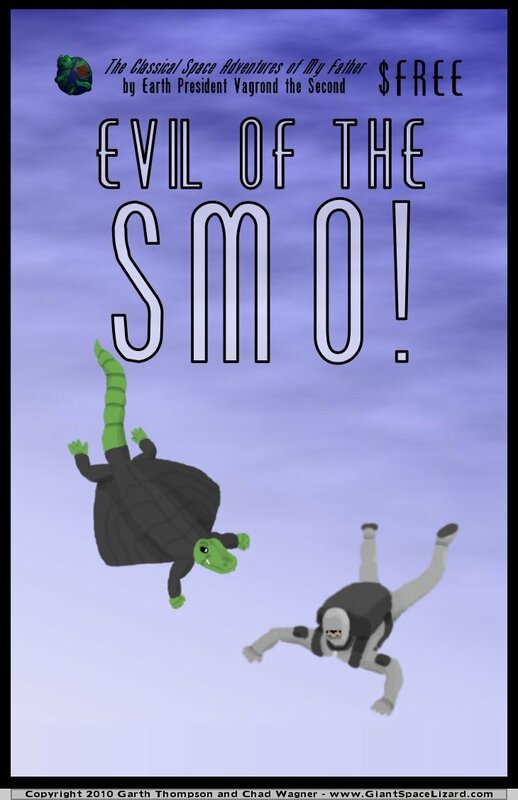 Evil of the SMO! is the first book (instead of comic) in The Classic Space Adventures of my Father by Earth President Vagrond the Second. It features 44 pages of adventure, including 10 pages illustrated as comics. It is distributed for free through a Creative Commons license.